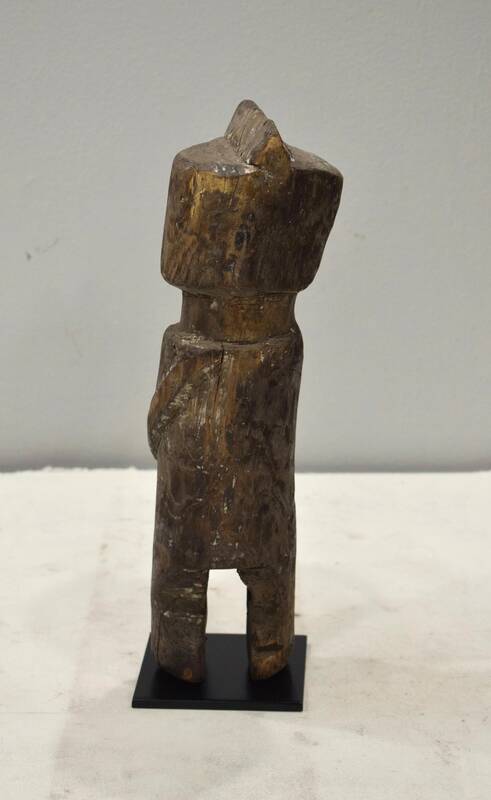 This is an Abstract Carved Wood Moba Statue from Togo in West Africa. 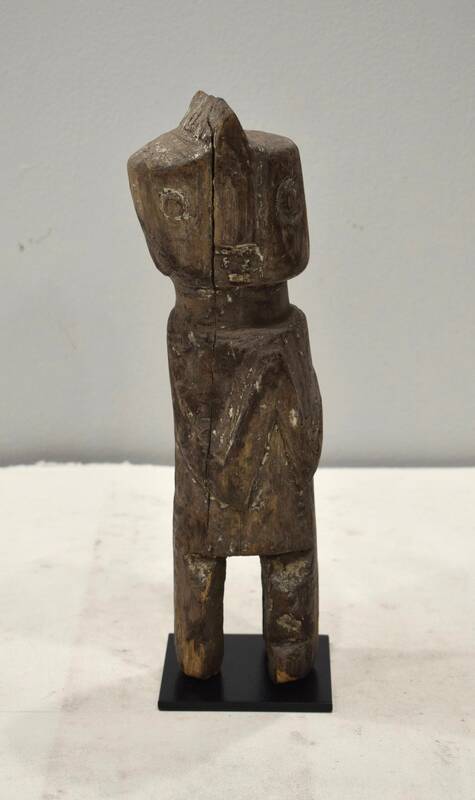 Moba figures stand as sentinels in front of Togo homes and village entrances, and are also placed on intimate family altars, providing protection for those who respect the. This Moba has weathered and because of that more highly valued in the culture. In their minimalist aesthetic, these Mobas merge the best of the "primitive" and the post-contemporary. This would be a wonderful addition to your collection or home. 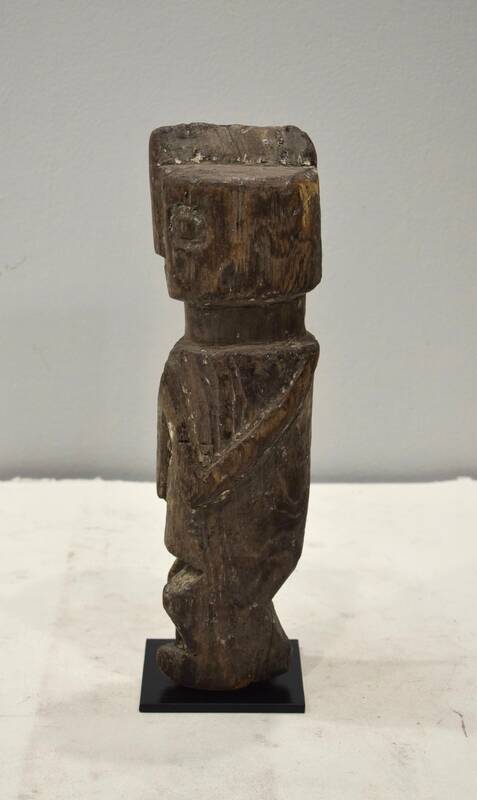 Shows age and is weathered, chip on foot, has a crack in the front, but is in good condition. 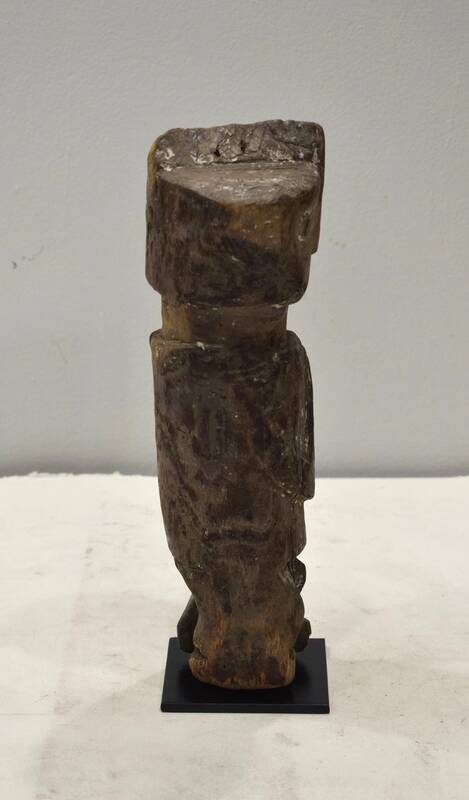 WE CAN PROVIDE REFERENCES FOR ALL ARTIFACTS THAT WE SELL, AS WELL AS DOCUMENTATION TOWARD THEIR AUTHENTICITY. FULL MONEY BACK GUARANTEE WILL BE PROVIDED FOR DISSATISFIED CUSTOMERS. YOUR SATISFACTION IS OUR MAIN GOAL, AND WE THANK YOU FOR SHOPPING AT THE WORLD OF BACARA.